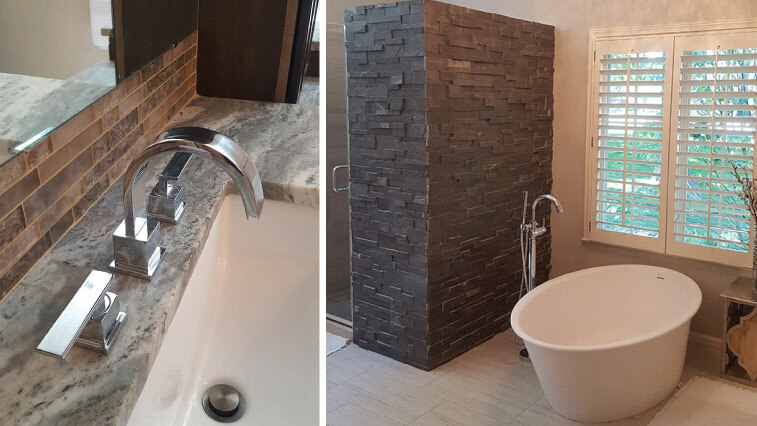 A staple in every home, bathrooms are often overlooked as main focal points of a house, however, have the potential to be stunning when given the right care and design. 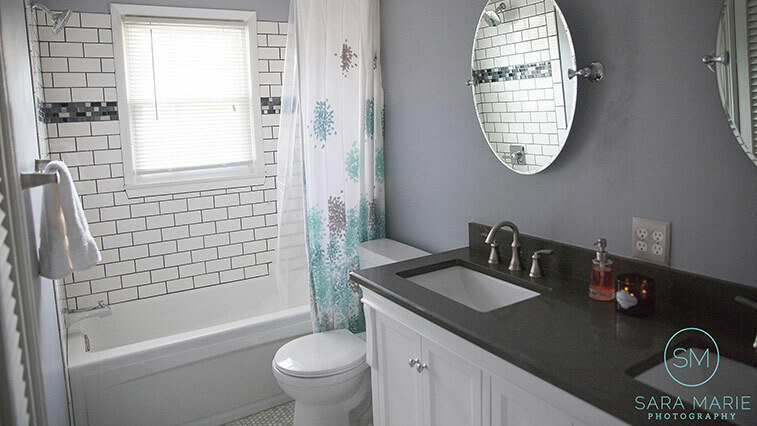 Recently, Mission Kitchen and Bath completed a trendy bathroom remodel, perfect for any home. 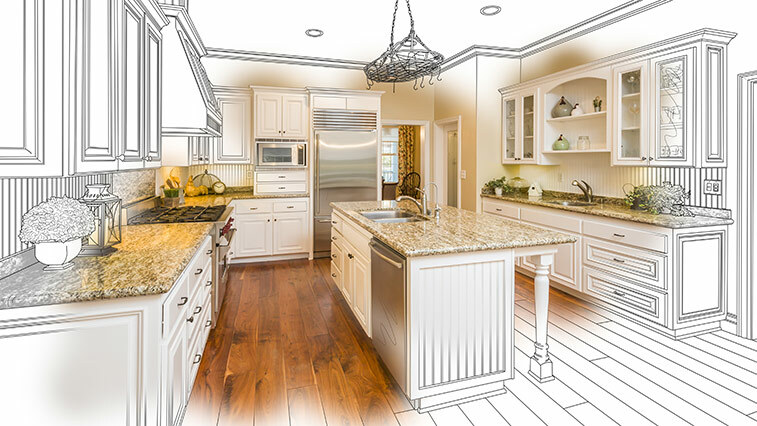 Working with a professional to renovate your kitchen or bathroom is the best way to guarantee a job well done. 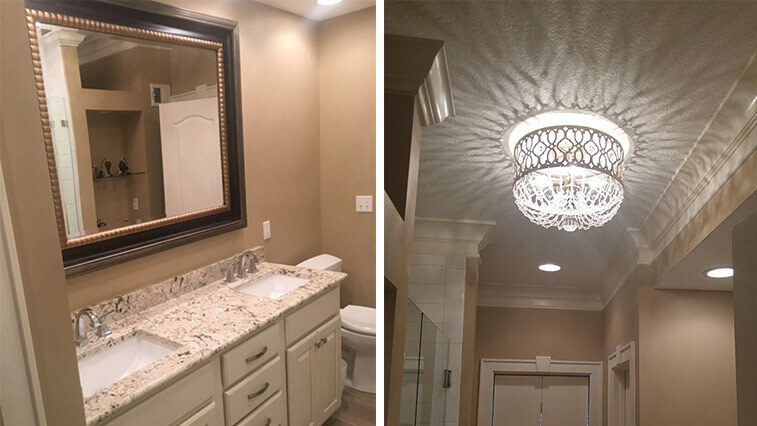 However, not all partners are the same. 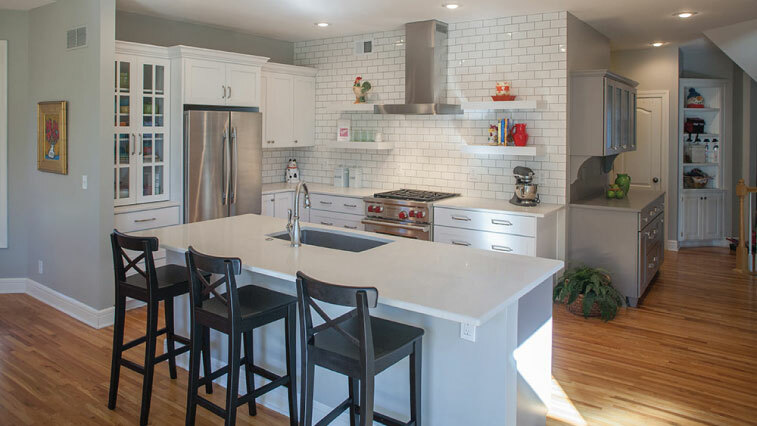 When planning your next home remodel, choose an industry-leading partner who will not only give you the best end result possible, but is also simply the best – like Mission Kitchen and Bath. 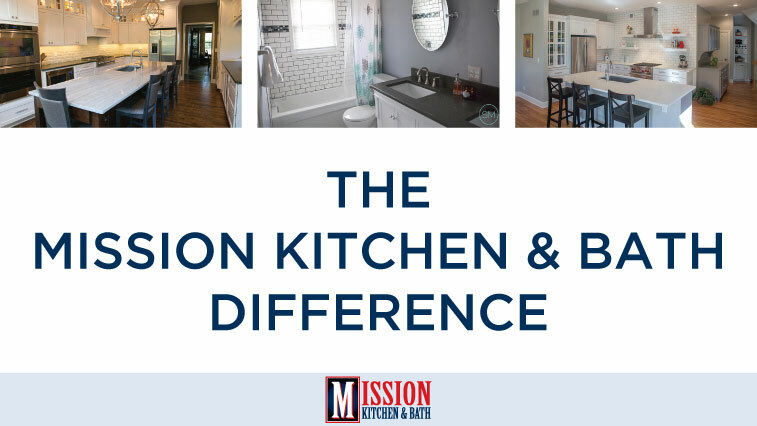 Since 1994, Mission Kitchen and Bath has been repairing and remodeling kitchens and bathrooms for homeowners throughout the Kansas City area. 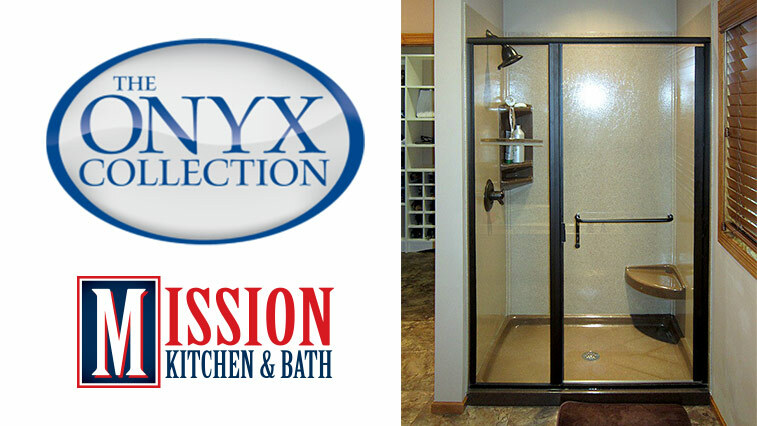 A team of trusted experts based in Mission, KS, the superior service provided by our professionals is what makes Mission Kitchen and Bath stand out. 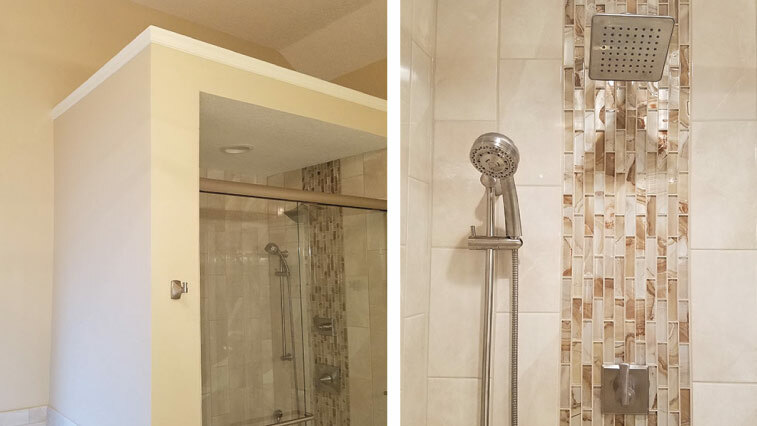 One of the most used areas of your home is your shower. 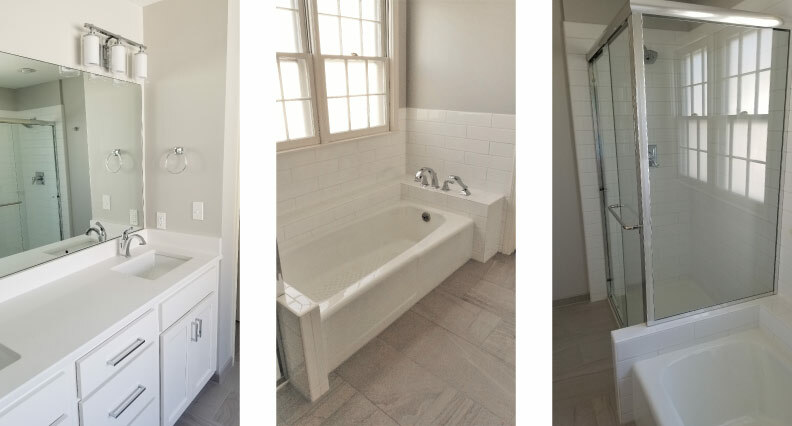 Whether you crank up the hot water each morning, or wrangle the kids for a cleaning at night, your shower is a bathroom staple in your house. 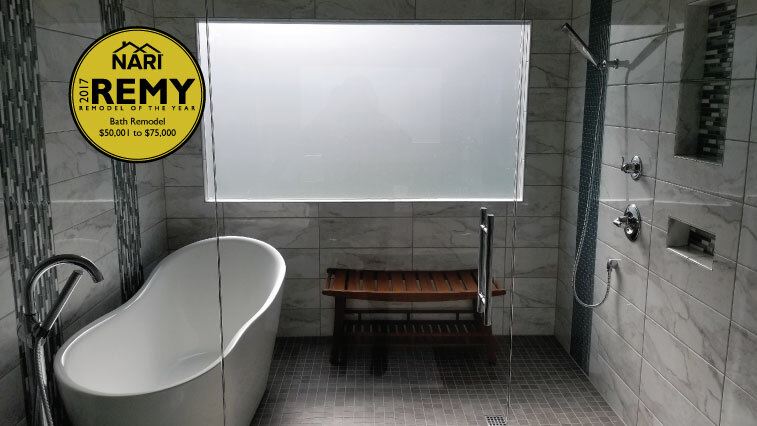 Treat your shower space like the vital area it is by installing an Onyx Maintenance Free Shower Kit.